Students from Cardiff University have taken the top prize at the Higher Education Cyber Challenge, a national event featuring 26 teams from universities across the UK. Hosted by Southampton University, the one-day competition was open to all UK Academic Centres of Excellence in Cyber Security Research (ACE-CSR). Teams faced 50 challenges ranging from hacking websites to reverse engineering, as well as a ‘capture the flag’ scenario where one team defended a network or server whilst the other tried to attack it. “It was a really valuable experience that allowed us to practice our cybersecurity skills in a safe environment, helped us network with other students with shared interests and won the attentions of employers and recruiters who are crying out for work-ready graduates with cyber skills,” said David Buchanan. Last year, Cardiff became the first university in Wales to be recognised as an ACE-CSR. The status is awarded to UK universities by the National Cyber Security Centre and is a recognition of internationally excellent research taken place at a specific institution. According to Cardiff, the accreditation is helping it attract and train the next generation of cyber professionals. 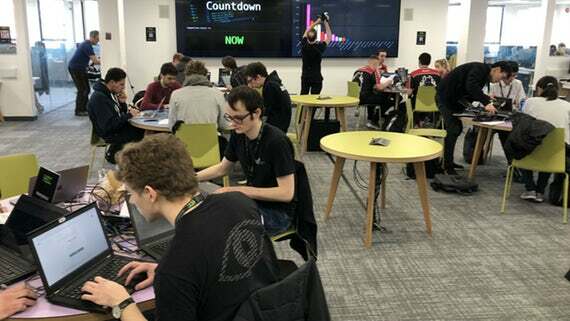 “It is fantastic to see our students taking part in national competitions such as this and using their skills and knowledge to tackle complex cybersecurity challenges,” said Professor Pete Burnap, from Cardiff’s School of Computer Science and Informatics.